The Savin Kingdom is a resort and an exquisite hotel that has been created with a motive to bring positivity in your life. The water world is absolutely exciting and is loved by every visitor. 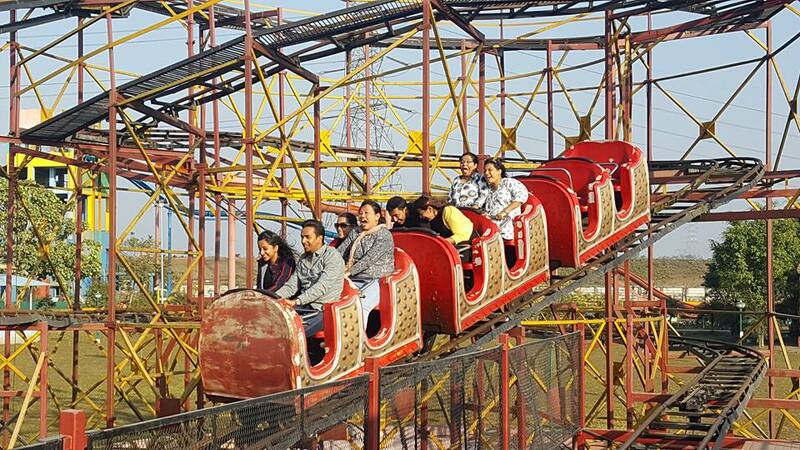 The theme amusement park in Siliguri sprawls over a large area of about 10 acres beside the Mahananda River. The serene location of the park makes it even more popular for the holidaymakers to pay a visit. Take a tour around the water park starting from the water rides. Numerous water slides will create a level of excitement in you. Slither through serpentine coils of the body slides. Slip sharply and take a dive into the deep swimming pool. Throw yourself in the air and land into the pool with a huge splash spilling water all around. Shout aloud as you take a steep ride from the high water rides. The water zorb is a must try. Enjoy the feel of being at the seashore in a hill station. Confused are you? Yes, that’s right. You can now take a beach walk beside the wave pool and feel the waves washing your feet off at the wave pool. 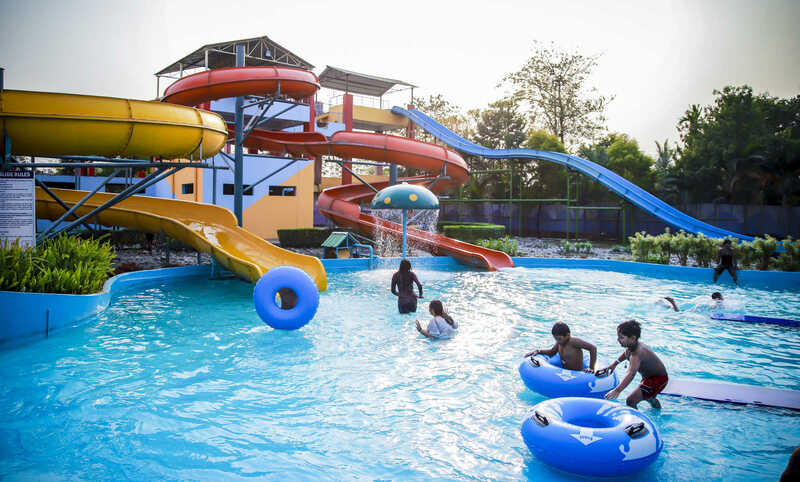 If you are wondering about the fun options for your kids, then don’t worry, this water park in Siliguri dedicates a completely separate section wholly for the young ones. There is a poolside banquet hall where you can rest and watch your family have fun. Who does not love to click photographs and keep them as golden memories to remember for a lifetime? Well, Savin kingdom Water Park in Siliguri lets you to capture your precious moments at the fountain selfie zone. The park does not have wet rides; it has an amusement section to enjoy dry rides too. 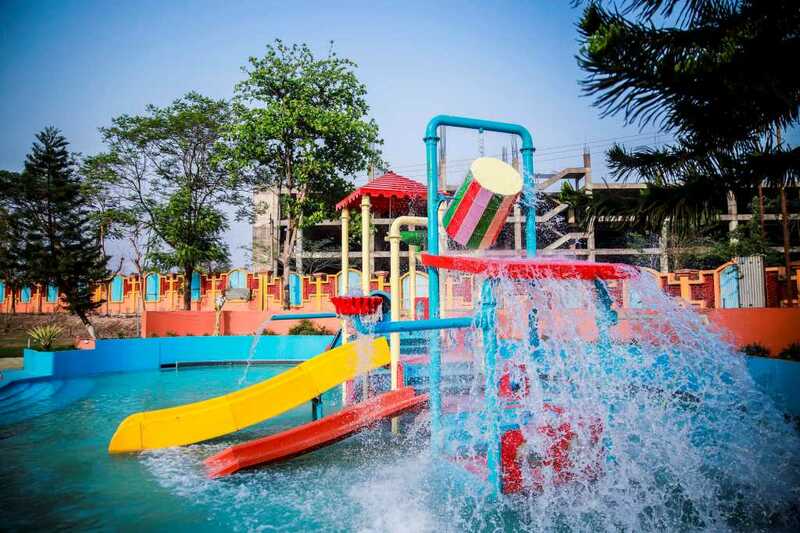 This water and amusement park in Siliguri assures to bring the kid lost in you. Bring it on for the most colorful vacation in this section. The Merry-go-round, Kiddy Express toy train, Break dance for a twisted fun, Kiddy Columbus, Multilane slides for kids, and much more. You and your kids might run out of energy but not out of choices to look upon. Do not miss the Bumping car ride and drive randomly, hit whosoever you want to in the range. The paratroopers and sky trains roller coaster are the rides to give you an adrenaline rush. Go Karting is yet another thing to try. Rock Climbing and Disc Coaster are outstandingly happening events to go for. Is that all? No! This water park at Siliguri offers great eateries with choicest food and beverages. And in case you get late while enjoying at the water amusement park, then you can opt to stay at the boutique hotel and enjoy the views of the town from your window. Nothing can define a more perfect holiday than this water park in Siliguri. Undoubtedly, this is the best water park in Siliguri. Do you wish to spend quality time with your precious ones in the outskirts of Siliguri? Then, the town lets you have the penultimate levels of fun at Dreamland Amusement Park, a water park in Fulbari Siliguri. The water amusement park welcomes the tourists with the best of the views. The lush greenery surrounding the entire park is the first thing that will impress you. The astonishing water slides and rides will keep you engaged in the zone and not let you go back. The twists and turns of the water slides bring out the woohoo from within. The multilane body slides are the perfect choice for your entire family to race to the swimming pool. Find out who is the fastest! The most attractive feature of this water park of Siliguri is the water coaster. Scream, shout, and laugh aloud as the water coaster rushes you from a great height, taking you steeply down into the pool beneath and splashing water all around at a high velocity. For the elderly to enjoy, the water park has seating arrangements beside the fountain. They can also take a stroll around the park and feel the fresh, calming, and soothing air. The kids get to experience amazing dry rides and activities too. Indoor games and water activities are not to be missed. The picturesque view of the amusement water park near Siliguri provides you a perfect opportunity to click some of the most happening pictures and candid of your beloved ones. The entire premise of the water theme park in Siliguri is a fairytale come true for people of all ages. You can spend a romantic time with your sweetheart in the boating section of the park. Hungry are you? The park takes care of the hunger and satisfies your taste buds really well. The specialty of the food court is in Bengali food and popular fast foods form Kolkata. If you are wondering the price of such an amazing package, then you need not to check your pockets. 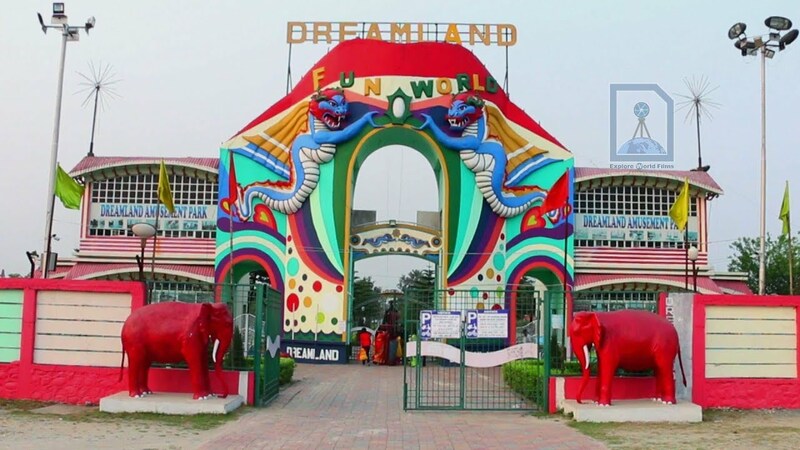 The Dreamland amusement park in Siliguri is absolutely affordable and within the ranges of your budget. Why and what are you waiting for? The place is easily approachable anytime of the year. Why wait for vacations when you can plan a weekend trip today. Book your tickets right away and let your family spend the most precious moments of life with you at Siliguri. Don’t miss the water parks described above before you leave. One day is worth spending at any of these water parks.